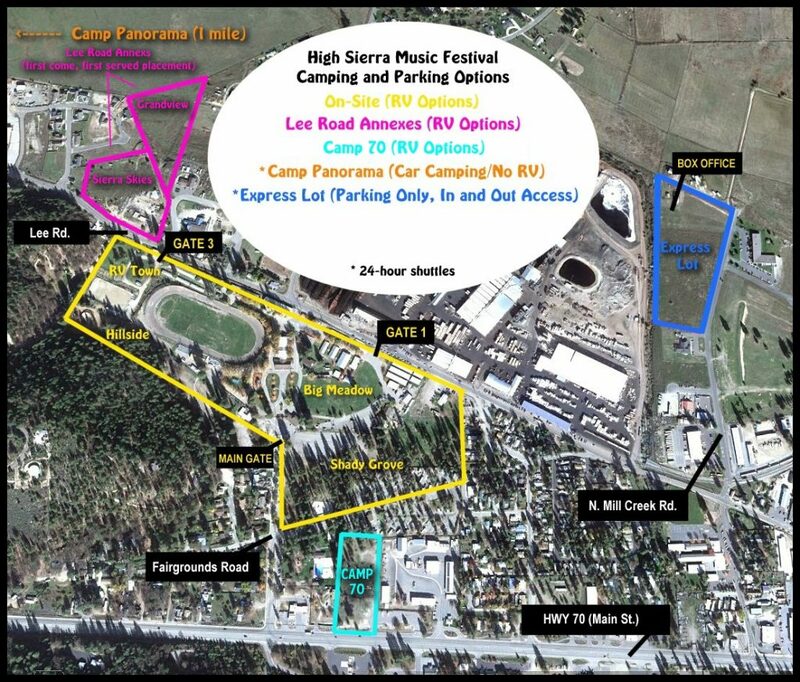 There are a variety of camping options available for High Sierra Music Festival. 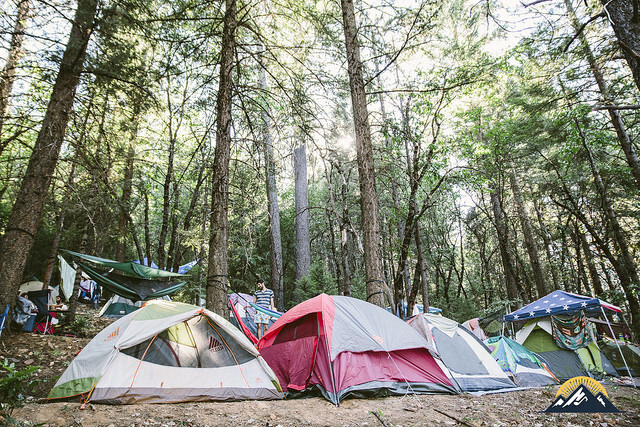 Tent camping (available first come, first served) is included in the cost of your festival pass. All campers must have a festival pass. Parking Passes (including RVs on and off-site) must be purchased separately. 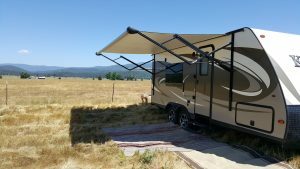 Tent and RV options available. Camping is designated on a first come, first served basis. 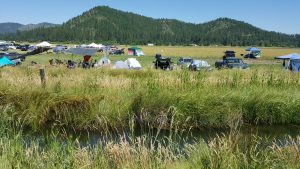 If on-site camping is at capacity, off-site camping with shuttling will be provided. The fairgrounds have permanent restrooms and showers, and we supplement the facilities with ample portable toilets, a shower trailer and a portable sink unit. Camping at High Sierra can be quite cozy, especially in the more popular areas such as Shady Grove, Hillside and Big Meadow. Family Camp — we try to create a more kid-friendly environment in the eastern end of the Shady Grove campground (quieter late at night; louder early in the morning). An On-site Vehicle Pass is required for parking in Family Camp, and as always space is designated on a first come, first served basis, and fills up very quickly. 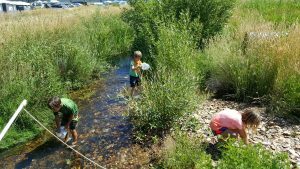 If you’ve got little ones in tow and you are interested in camping in Family Camp, let your shuttle driver or parking attendant know upon arrival. Please be courteous and take only the space you need. Roping off areas and saving space for latecomers is not acceptable festival etiquette. Are you searching for a hassle-free High Sierra camping experience? The Show Sherpa is here to help! Leave the camping gear behind and let The Show Sherpa do the heavy lifting. Located in Shady Grove, we will have your tent set up when you arrive and we take it down after you leave. Stand up and stretch! No tiny dome tents here. The Sherpa Village is outfitted with large Eureka! cabin style tents with almost seven feet of headroom and 100 square feet of space, not to mention the sturdy comfortable camping cots. The Show Sherpa’s pre-pitched tent rentals also include camping chairs, a lantern, and all Sherpa Village amenities featuring FREE COFFEE in the morning, a complimentary bag of ice daily, large shade tents filled with comfy chairs for relaxing in between the music. We have a full camp kitchen including a large gas grill, an expedition stove as well as all the pots, pans & utensils you need to make a great meal to refuel for more dancin’ More details here. Tent and RV Options available, must be purchased separately. Camp 70 is adjacent to the fairgrounds and a quick, easy walk to the main fairgrounds entrance. You may park your vehicle or RV in Camp 70 with the appropriate vehicle pass (Camp 70 Vehicle or RV Pass). Camp 70 is dry camping – no power/water hook-ups available. 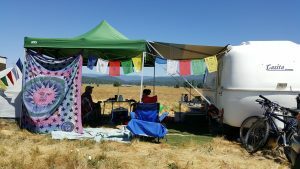 Tent and RV Options are available at one of several nearby annex locations just off Lee Road (outside Gate 3) including Sierra Skies Campground, Grandview Campground or other close properties. Campers are placed on a first-come, first served basis. Can’t find a room in town? Want to stay in a trailer, but don’t want the hassle of driving one up? 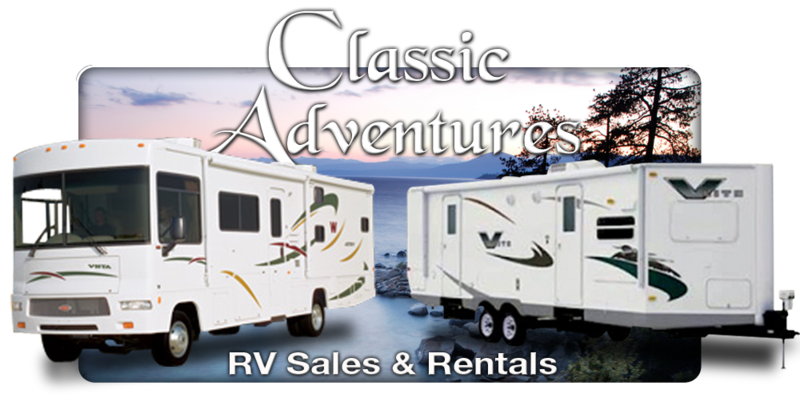 Let Classic Adventures RV take care of you. They are setting up a small trailer village complete with fresh water and power hook-ups located in Grandview Campground, just a short stroll away from Gate 3. No RV Annex pass required. If interested, contact Dane or Angie at 775-825-1200 ext 2. Off-site tent camping is located 1 mile from Gate 3 of the Fairgrounds. Only those camping in Camp Panorama may park in this lot, and each vehicle is required to have a Camp Panorama Vehicle Pass. No oversized vehicles, trailers, or RVs permitted. 24-hour shuttle service will be provided starting at 11am Thursday morning. Please note this is not an off-site parking lot. Off-site parking will be available in the Express Lot near the box office. Vehicle ins and outs are permitted. Everyone attending the festival must have a festival pass. All Parking and RV Passes must be purchased separately. All parking passes valid beginning 8AM Thursday, July 5 through noon Monday, July 9. ***Wednesday Early Arrival*** Separate fee of $20 per vehicle, payable upon entry, CASH ONLY. Which Parking Pass Do I need? A VEHICLE PASS is required for anything with wheels and a motor under 18’ long. An RV PASS is required for any vehicle, camper, trailer or vehicle/trailer combination that is between 18 and 35 feet in length. A JUMBO RV ANNEX PASS is required for any vehicle, camper, trailer or vehicle/trailer combination that is more than 35 feet in length parking off-site. An RV Pass is required for any vehicle, camper, trailer or vehicle/trailer combination that is between 18 and 35 feet in length. Standard RV space size is 15 x 35 feet. A Lee Road Jumbo RV Annex pass will be required for any vehicle, camper, trailer or vehicle/trailer combination that exceeds 35 feet in length. 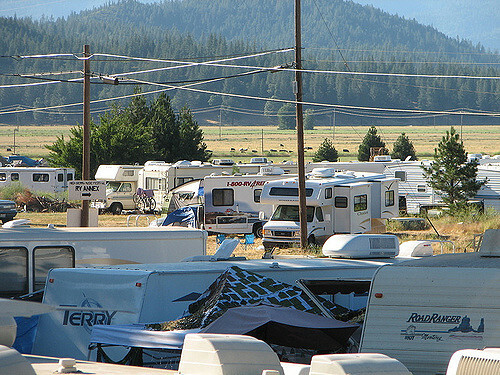 On-site RV Parking Passes permit and enable oversized vehicles (between 18 and 35 feet in length) to park on the Fairgrounds. Hookups are highly-limited and are not guaranteed. RVs and buses will be assigned spaces based on what is available at the time of entry. RV Parking Passes are entitled to a 15’w x 35’l space which must include the vehicle and all tents or shade structures. If the vehicle is longer, please contact us in advance for special placement. Tow vehicles must be removed from the fairgrounds after trailer is set, and parked off site. On-site parking of tow vehicles requires the purchase of an On-site Vehicle Pass. Off-site, hookups (water/power), easy walking distance, VERY LIMITED QUANTITY. 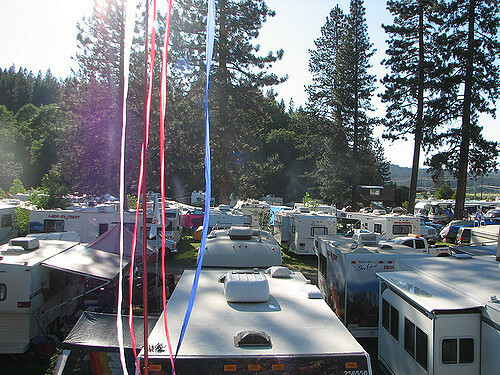 Sierra Skies RV Pass permits one RV or oversized vehicle longer than 18′ to park at Sierra Skies Campground across from Gate 3 off Lee Road. Electrical hookups are limited to 30 amps of power, during the hours of 10am – 8pm. Water is available, and service includes one pump per day from septic truck. Includes GUARANTEED HOOKUP plus two FestivALL Passes. More information here. Adjacent to site, no hookups, easy walking distance. Camp 70 – RV Pass allows one RV (or oversized vehicle longer than 18′) into Shady Grove Annex. No hookups “dry” RV parking only. **Please note: This pass is for 4-day pass holders planning to park and stay camped in Camp 70 only. Off-site, no hookups, easy walking distance. 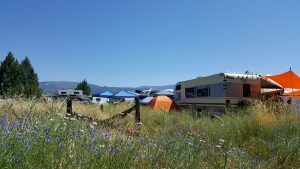 This pass allows weekend parking, assigned on a first come, first served basis for one RV or oversized vehicle at one of several nearby annex locations just off Lee Road (outside Gate 3) including Sierra Skies Campground, Grandview Campground or other close properties. Off-site, no hookups, easy walking distance. This pass allows entry, assigned on a first come first served basis, for one JUMBO (35 ft+) vehicle to one of several nearby locations just off-site including Sierra Skies Campground, Grandview Campground or other close properties. On-site Vehicle Passes are required to park on the fairgrounds site. There are no vehicle ins and outs. On-site parking spaces will be assigned on a first come, first served basis according to our parking plan. Parking areas and camping areas are separate – walk-in camping areas are close to parking areas. Single day parking is located off-site in our Express Lot. Vehicles may get parked in Shady Grove Annex. Patrons with a valid, state-issued accessible parking placard or tag must purchase an on-site vehicle pass in order to park on site. Upon arrival, show the parking attendant your On-Site Vehicle Pass and valid accessible placard and you will be directed to our Accessible Camping, centrally located within the fairgrounds and in close proximity to accessible bathhouses. Camp 70 Vehicle Pass allows one vehicle to park in Shady Grove Annex. **Please note: This pass is for 4-day pass holders planning to park and stay camped in Camp 70 only. Off-site, easy walking distance, VERY LIMITED quantity. 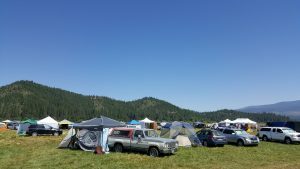 This pass allows entry, assigned on a first come first served basis, for any standard vehicle (less than 18 feet) to one of several nearby locations just off-site including Sierra Skies Campground, Grandview Campground or other close properties. No vehicle re-entry. Off-site tent camping is located 1 mile from Gate 3 of the Fairgrounds. Only those camping in Camp Panorama may park in this lot, and each vehicle is required to have a Camp Panorama Vehicle Pass. No oversized vehicles, trailers, or RVs permitted. 24-hour shuttle service will be provided. Please note this is not an off-site parking lot. Off-site parking will be available in the Express Lot near the box office. Vehicle ins and outs are permitted. Off-site parking with 24-hour shuttle service to the festival is available in our Express Lot, adjacent to the main box office. Camping is not permitted. Multi-Day parking, and Single Day parking available for purchase.